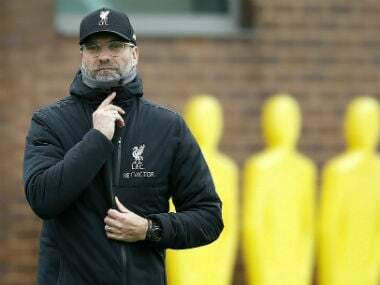 With one or both of the sides bound to drop points at Old Trafford, Jurgen Klopp's team are in prime position to pounce, hosting West Ham after a 10-day break following the 5-0 demolition of Porto in the first leg of their Champions League last-16 tie. 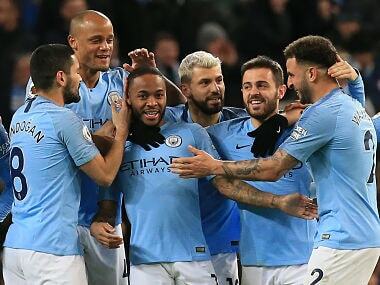 Take a look at some of the highlights of the weekend's action in the Premier League, with Manchester City and Arsenal meeting in the League Cup final. 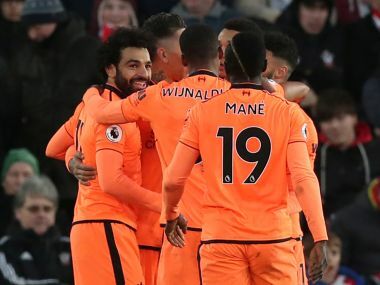 Jurgen Klopp's Liverpool have the chance to leapfrog second-placed Manchester United, at least temporarily, when they host West Ham on Saturday. The club are riding high after smashing Porto 5-0 in the Champions League and will strongly fancy their chances of qualifying for next year's competition with a Premier League run-in full of winnable fixtures. "It's really hard in the moment to make the squad," Klopp told the club's TV channel, LFCTV. "Wow, I've never had a situation like that with the quality of the players not being in the squad." "It's difficult, it's getting more and more difficult, but that's good for us of course," he added. The feud started when the United boss said he did not need to "act like a clown" on the touchline, a comment perceived to be aimed at the animated Conte, who responded by claiming Mourinho must have "demenza senile" -- senile dementia. United recently appeared secure in second place in the Premier League, albeit a distant second to Manchester City, but two defeats in three games leave Mourinho's side looking vulnerable with matches against four of the top six sides still to come, including Chelsea in fourth spot. Bottom side West Brom must win to maintain realistic hopes of survival when they host Huddersfield, who sit one place above the drop zone, seven points clear of Alan Pardew's team. As a result Jonny Evans was stripped of the captain's armband for last weekend's FA Cup defeat to Southampton. "Jonny Evans will be captain on Saturday, yes, provided he comes through training tomorrow," said Pardew. "The disciplinary side is dealt with. There's a board here that comes together and decides that and that is the decision that has been taken and we move on now." 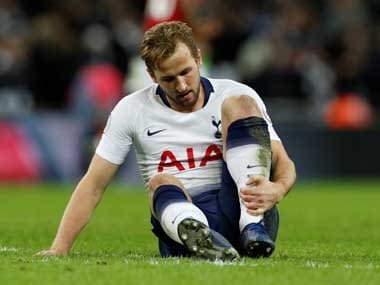 Tottenham boss Mauricio Pochettino may be relieved that from the FA Cup quarter-finals onwards ties are sudden death, after Spurs were forced to move their match against Crystal Palace from Monday evening to accommodate a cup replay against Rochdale on Wednesday for a place in the last eight.